Our Classic system is more than just another chain sling system. It is a total lifting concept for heavy lifting. 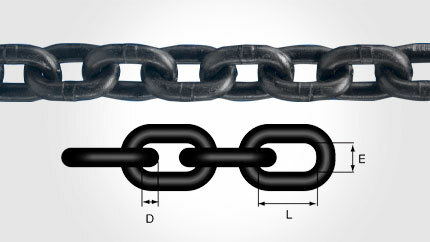 Our chain and components are designed to give more flexibility, more options to meet any lifting situation involving slings – whether it is chain, steel wire rope or soft slings. All lifting components are uniformly marked with equivalent chain size, grade, manufacture’s designation and name for positive identification. Slings are available in 1, 2, 3 and 4 leg combinations, at any length you require and with a number of termination options.